MANILA - Malacañang on Thursday slammed as a "rehash of old issues" the report of a rights watchdog alleging that President Rodrigo Duterte was waging war against human rights defenders. In a statement, Presidential spokesperson Salvador Panelo said the Palace found "nothing new" in the latest report of The Observatory for the Protection of Human Rights Defenders. "While it is true that the President’s words may be hurtful to some quarters, including human rights defenders, they are actually zeroed in on those who mock and derail the President’s efforts towards creating a society free from drugs, crime and corruption," he said. "We reiterate that there is no such thing as a war against human rights defenders. There is only one against criminals, including drug pushers, and their protectors." 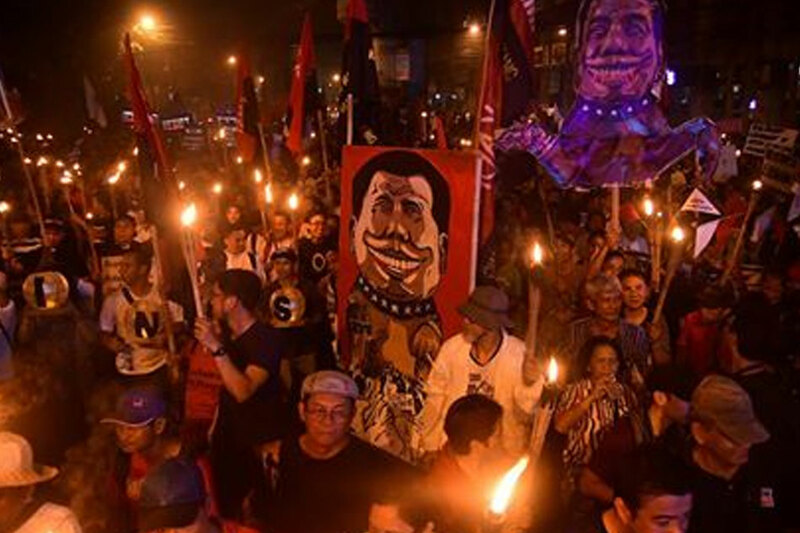 In its 40-page report, the Observatory said at least 76 land and environmental rights defenders, 12 journalists, and 8 labor rights activists were murdered from July 2016, when Duterte ascended to power, to November 2018. The report also cited government's alleged harassment of the Commission on Human Rights and the justice department's pursuit of criminal charges against a number of Duterte’s political opponents who have taken strong pro-human rights views, such as Sen. Leila de Lima, currently detained on drug charges. Panelo urged the International Federation for Human Rights (FIDH) and World Organization Against Torture (OMCT) to file their cases against the Philippine government to "settle this matter once and for all." "File all cases and let’s be done with it. In the absence of this, the allegations will remain unfounded and politically motivated untruths aimed at shaming the Philippine government before the international community," he said. "Sans this, the report is but recycled rubbish based on information peddled by the usual critiques of government, such as Karapatan, who must do so to remain relevant and to generate funds to exist from gullible sources abroad." The President is facing complaints at the International Criminal Court over the drug war killings. He has ordered the country's withdrawal from the tribunal. Some 5,000 drug suspects have been killed since Duterte assumed presidency in 2016, but human rights groups say this figure is severely understated. The campaign has drawn widespread criticism for alleged state-sponsored killings, which the government has denied.